Where in the NSW are we ? Where in the Crowther are we ? 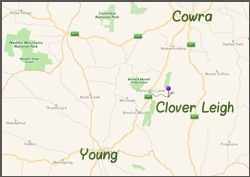 Clover Leigh Golf Club is 8 km along Karoopa Lane off the Olympic Way between Young and Cowra in the South West Slopes region of NSW. 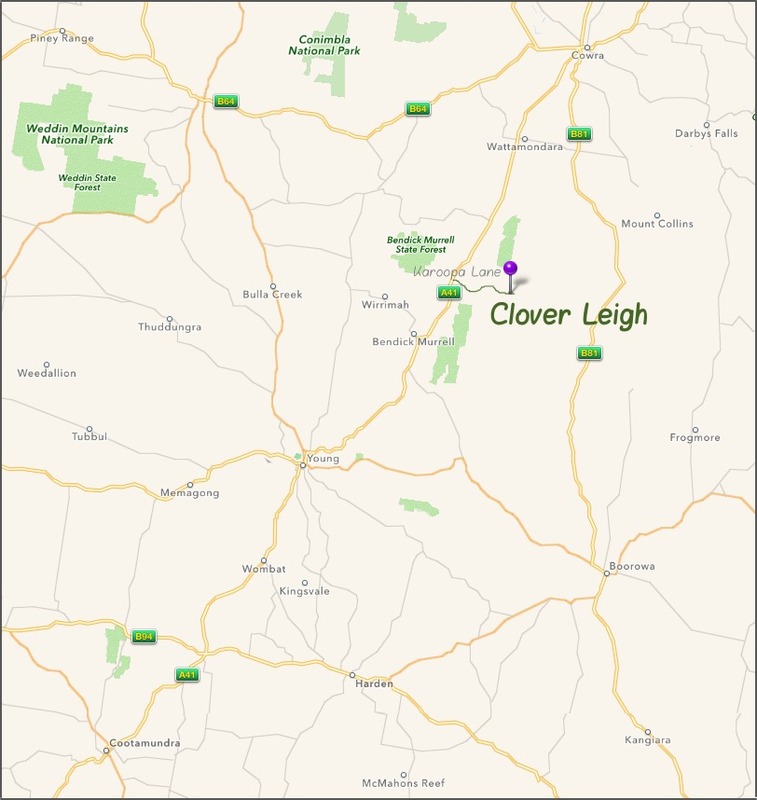 The Clover Leigh Golf Club had inauspicious beginnings in a paddock at Crowther in the early nineties. The club then built up to playing 9 holes with sand greens. 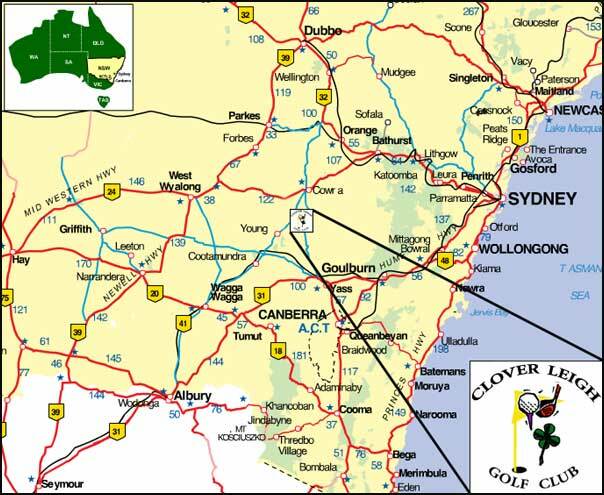 In 1999 the club was incorporated and became affiliated with the South West District Golf Association as part of the New South Wales Golf Association. Over the next few years, the sand greens were slowly upgraded to grass, so that now all 9 holes have grass greens. Clover Leigh retains the services of golf professional, Col Frecklington.